A classic Marion's design. 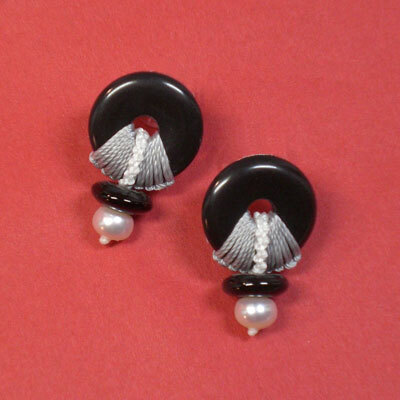 Great for anyone you likes to wear post earrings. 20mm gemstone donut with white freshwater pearls. Knotted with nylon. Sterling silver posts and nickel-free friction backs.